Have you set the stage for high performance in 2012? The new year is well underway. It is time to stop planning and start executing. The question is: Have you set your team up for success? 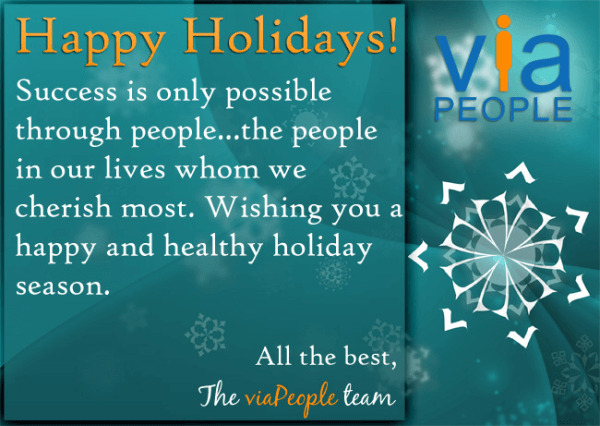 The January, 2012 edition of viaPeople Insight contains a collection of articles aimed at helping you clarify performance goals and plan your employee performance management process for the year ahead, written by viaPeople's team of industrial organizational psychologists. This time of year brings with it fall leaves, crisp air, the anticipation of the holiday season and let's not forget.....Performance Evaluations. The November, 2011 edition of the viaPeople Insight newsletter is filled with tips on improving skills in evaluating performance and conducting the performance review discussion. 3 Pitfalls to Avoid in Performance Appraisal...or On America's Got Talent. In order to develop employees and keep them engaged, employees must receive performance feedback that is not only an accurate assessment of their actual performance, but also identifies both their strengths and development areas. Read the article. The August, 2011 edition of viaPeople Insight brings together a collection of our most popular and informative blog articles on Succession Planning. Increase Innovation and Growth through Succession Planning. Succession planning not only drives performance and results…but also ensures that organizations avoid talent pitfalls or risks that can inhibit success. Learn how you can avoid Four Critical Leadership Risks through succession planning. Read the article. The July, 2011 edition of viaPeople Insight brings together a collection of thought provoking and informative blog articles on 360 degree feedback and evaluation. 360 Degree Feedback - Worth the Hard Work: Learn to help your leaders clearly identify strengths and development needs from their feedback. Read the article.